“I’m really sorry. Just try to ignore all of those comments that you think are snobby. She’s not a mean person, and it doesn’t look like she doesn’t like you. It’s only that you don’t like her. But still, I have a treat in store for you!” Salba started up the staircase and I followed. It wasn’t like I had anywhere else to go. “Only this time, she won’t have anyone to boss around,” Salba countered, walking over to her room. “Except for us.” I walked in through the door and looked out the window. There was a beautiful view of a little park, almost a commons. There were lots of Christmas decorations; it was almost as if they covered every tree and every bench. The slides and merry-go-rounds were beautifully and intricately carved, and at the middle of it all, a huge statue of Fyora, obviously meant to be climbed on, as it had footholds sprouting out of it from either side, towered over all of the small Neopets running around the playground, as if acting like a mother of some sort. “Beautiful place, isn’t it? Looks like a childhood memory.” Salba appeared next to me, putting her arms behind her back and looking out onto the park. “Sounds like fun,” I said, with a nervous laugh. But I knew it was going to be anything but fun. Anything but. The sun was sinking lower over the horizon as Salba and I set out for the park. The air was really bitter, and, although I really loved when the air nipped at you, something about it seemed like it made the situation worse. For once I had to rub my hooves together to keep warm, and I shivered, even with the huge fur coat I wore. Something was terribly wrong. 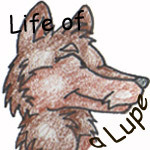 “Well, it’s a Lupe-eat-Lupe world out there. Only thing that’ll keep you warm these days.” I looked over at Salba, who seemed to be perfectly comfortable in her winter jacket, which wasn’t made of Gnorbu wool. Growling inaudibly, I walked on, and we got to the park without another word escaping our lips. The park really was majestic, not just an illusion from a bedroom window. I gasped as I caught a glance at a beautifully laid out picnic area, where, if we were lucky enough, we would catch the sunset about an hour later. “It’s amazing, isn’t it? Well, I’ve seen better, but I’d have to admit, it’s as good as those poor park committee people could come up with,” Ellie reasoned. I bit my lip, and was just about on the verge of screaming at her, when, what do you know, a tinkle-tinkle sound reached my ears. I turned around, and Ellie and Salba followed my gaze. A cart carrying hot drinks circled round the bend and into the entrance of the park. The pet manning the cart, a friendly-looking blue Shoyru wearing a vest and an apron, rang a golden bell. Etched on it was an cup of steaming tea. “Come on, let’s go get some tea,” Ellie beckoned, starting off towards the hot drinks cart. “Nah, you go. We’ll stay here,” I said, avoiding Ellie at all costs. I didn’t even want to imagine what that poor Shoyru would have to go through under Ellie’s strict and relentless orders. I sighed as she left to get in the already growing line, pushing a young Kyrii out of the way to save her an early spot. “Are you sure she’s jealous?” I asked Salba, as we walked over to the picnic spot I had spotted just a few minutes before. Already the sun was sinking, even though it was only about 5:00, and I wondered if Ellie and I would ever get along. There was only one more day to spend with her, I knew that, and maybe I wouldn’t have had to spend any time with her the next day, but she really got on my nerves. She treated people like they were dirt, and I wondered if Salba actually managed to look past that and take Ellie in as a friend. “I’m telling you, she’s not normally like this. She just wants to impress you!” The Quiggle rubbed one of her eyes and looked at the sunset. The pastel sky looked slightly like the clouds below us. The pink and purple almost perfectly matched the shades of Faerieland. It reminded me of a sunset over water, where the colors are the same both below and above, and my heart fluttered a little. How much I wanted to sit by Neopia Central’s river with Salba, no Ellie to encumber us, and enjoy an early dinner watching the sunset. I wanted to go downtown and shop, eat at our favorite hot dog place, listen to poetry at the Arts Centre, with Salba and without Ellie. Why couldn’t Salba bring herself to ditch the Bruce? Did she feel bad for her friend? What was wrong with her? I smiled faintly and took the cup from her, grimacing when she looked away. If there was any taste I hated more than broccoli, olives, or horse radish, it was chocolate. How I despised the flavor associated with my fur! Anything chocolate, chocolate chips, chocolate-dipped raisins, whatever, was disgusting in my book. I wouldn’t have thought about it for a second if anyone had made the mistake of getting me chocolate without knowing me, but Ellie seemed to smile as she looked at me again, an omniscient smile. I don’t know how I got the idea, but I thought she knew how much I hated chocolate. My jaw dropped. Was Salba telling Ellie off? Salba telling someone off was a rare occurrence, but Ellie. I secretly grinned. “What?” Ellie asked, bewildered. Then a look of realization struck her face. “I knew it. I knew it! You’ve been talking to her, haven’t you?” she asked pointedly to me, and a blank look subconsciously took over my face, “You’ve been trying to convince her to move back. The second I saw you I knew you’d be that conniving thief. So I tried to be nice to you, getting the waiters to speed up and whatnot, but no. You don’t appreciate it, or me! You don’t respect Salba’s decision! I knew you would be that low-down, no-good thief! Friend burglar, trying to convince her to move back! Nonsense!” The Bruce stood up, flinging off her Gnorbu wool jacket and knocking her lemon ice to the floor. “What are you talking about?” Salba demanded, taking a scoop of strawberry ice and discreetly sliding it into her mouth. “Apparently, she thinks that I’m desperately trying to convince you to move back to Neopia Central. And although I would be happy if you moved away from that freakish creep,” I began, thrusting my hoof at the Faerie Bruce, “I would never try and convince you to move away. Because I’m not that kind of friend! The fact that you judged me at first glance, that you thought such good friends would plot such dastardly deeds, makes you the evil friend thief! Don’t argue, Ellie, I know you’ve been up to no good! And I can only hope that you know the same!” I was shouting now, and people were beginning to stare. Most pets continued about their business, however. The statue of Fyora seemed to be glaring at me, as if I was disturbing the peace, but I didn’t care. I was finally telling Ellie what she needed to know. Ellie’s eyes narrowed. “You are! You are, you mud-colored, plastic-smiled fiend! It was you who judged me at first! Don’t think I didn’t notice that glint in your eye, that faltering smile! But you faked it! You didn’t want Salba to know that you were never open to people in general! I can’t believe she ever made friends with you! Jhinni!” She shrieked my name as if it were poison, slowly dripping off the tip of her tongue. She took another look at the sunset. Now I could tell she was crying, because the tears shone with the help of the dying sunlight. She was deeply hurt, but I thought she needed to be. And if she wasn’t Salba’s friend, so-be-it. I thought that was an improvement. “Well... good evening!” she said in a shaky voice, and stalked straight off. Even though I was far away, I could have sworn I could see a tear fall from her face and on to the ground. But then again, it might have just been the sunlight playing tricks on me.